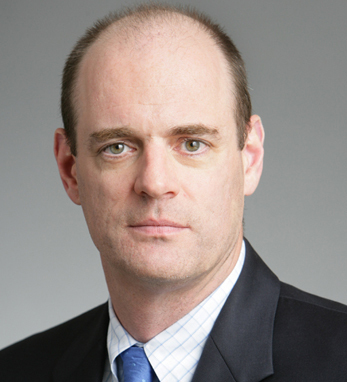 As senior portfolio manager for all capital structure and convertible securities-based strategies with Lazard Asset Management in New York, Sean H. Reynolds manages $3 billion assets under management in hedge fund and alternatives investments, and is the recipient of several awards from Lazard Rathmore, including the Absolute Returns Arbitrage Fund of the Year in 2010. He joined Lazard in 2007 and prior to that worked as a portfolio manager for convertible arbitrage strategies at SAC Capital Management, and held a similar position at Clinton Group, Inc. He also worked for Deutsche Bank Securities. Sean was born in Drogheda, Co. Louth and says that his Irish heritage is “everything” to him. He is an alumnus of Trinity College Dublin, where he earned a B.A. in math and a B.A.I. (B.Sc) in engineering. He earned his M.B.A. from the Wharton School of the University of Pennsylvania. Sean is currently on the U.S. Advisory Board of TCD, the Hunstsman International Advisory board of the University of Pennsylvania, and is a board member of the international humanitarian agency GOAL U.S.A, Inc. He lives in Westchester County, New York.